JEC World 2018, closes its doors on March 8 with a record increase in attendance resuming 3 days of vibrant networking and knowledge sharing. The event confirms its leading position of JEC Group as number one organization for the promotion and development of the composites industry. 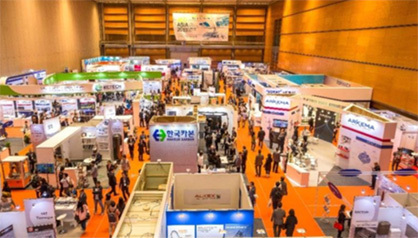 Indeed the show welcomed more than 1,300 exhibitors from every continents and counted 42,445 professional visits from 115 countries. Dirk Ahlborn, CEO of Hyperloop opened the Startup Booster ceremony by supporting the spirit of ingenuity in the Industry. Dayton Horvath, industry expert and consultant in additive manufacturing presented his vision of how to apply artificial intelligence to composite Materials and Manufacturing. Finally, Yves Rossy, the “jetman” using the latest carbon-fiber wings for flight introduced the JEC Innovation awards ceremony, motivating the audience to pursue their dreams and explaining how composites could made his dreams come true. A first at the show this year was the introduction of the public votes to elect their favorite projects among two JEC programs promoting innovation. “The goal to create the “public choice awards” was to involve and embark our community to make their innovation loud. Our vision at JEC is to demonstrate and to make understand towards a broader scope the vast range of possibilities that composite materials offer.” comments Ms. Anne-Manuèle Hébert, Director for JEC World and European Events for JEC Group.